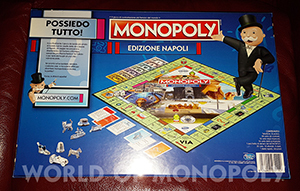 After the success of the ITALIA edition of the historic MONOPOLY board game, dedicated to the entire nation, for the first time, the is the first edition dedicated to only one CITY in Italy. 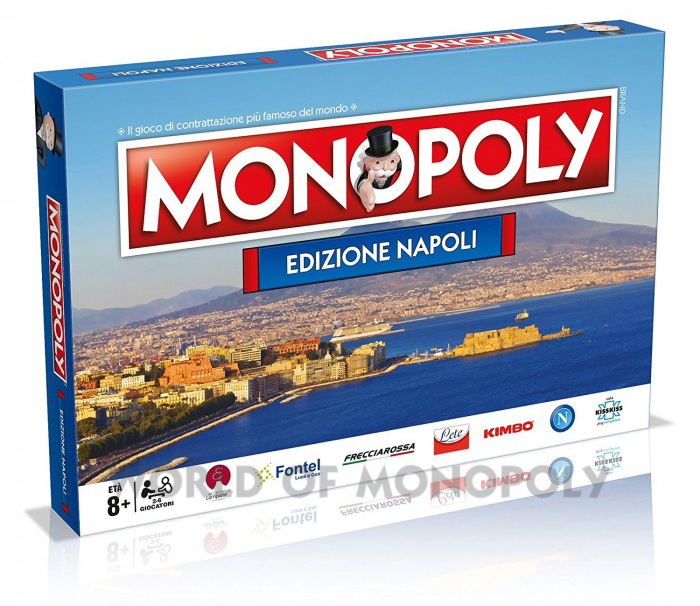 NAPLES IS THE CITY CHOICE FOR THE FIRST ITALIAN CITY VERSION. 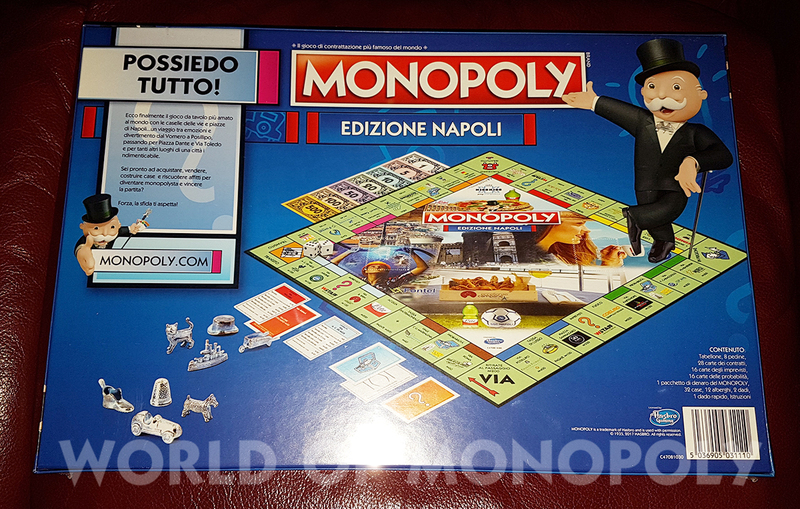 Even before Rome and Milan, NAPOLI is the first Italian city chosen for this historic debut: the special edition of Monopoly, the most famous board game in the world, will be personalized with places of the city of Naples. 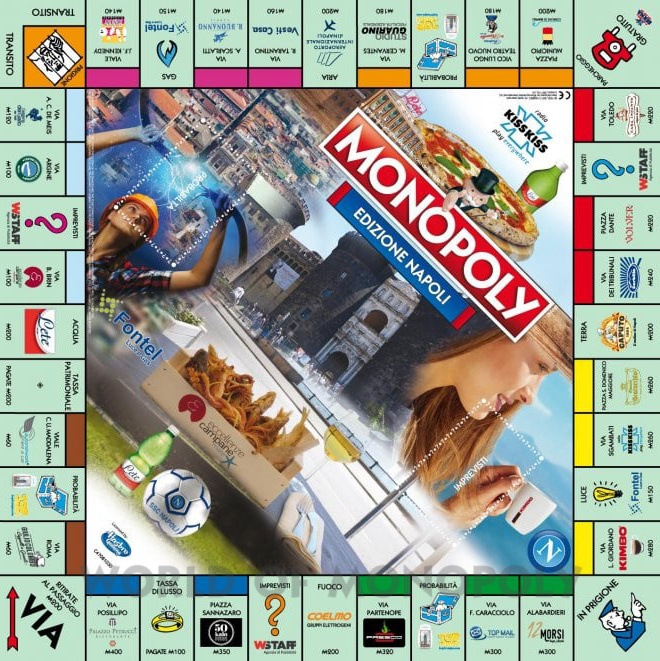 This edition the streets are replaced by the city, in this case the classic Della Vittoria Park, Viale dei Giardini, Gran Sasso Ramparts, Piazza Giulio Cesare and all the others will be replaced by Via Toledo, Piazza dei Martiri, Piazza Vanvitelli, Piazza San Domenico and so on. A new Monopoli is born, entirely dedicated to Naples, the first Italian city that is reflected on the famous board game of the most famous table game in the world. 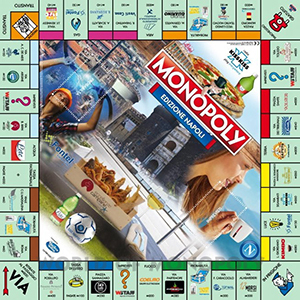 Each district gets a piece and, at every address, is associated with a gastronomic, artistic or artisan excellence: from Sorbillo to Casa Infante, passing through 50 Kalò and Scaturchio. With a few licenses: you vote for Rome, for example, you see the shop of hats and gloves "Giulio Colombo", a boutique in Naples in the 1930s, a clear tribute to the commissioner Ricciardi of Maurizio De Giovanni.